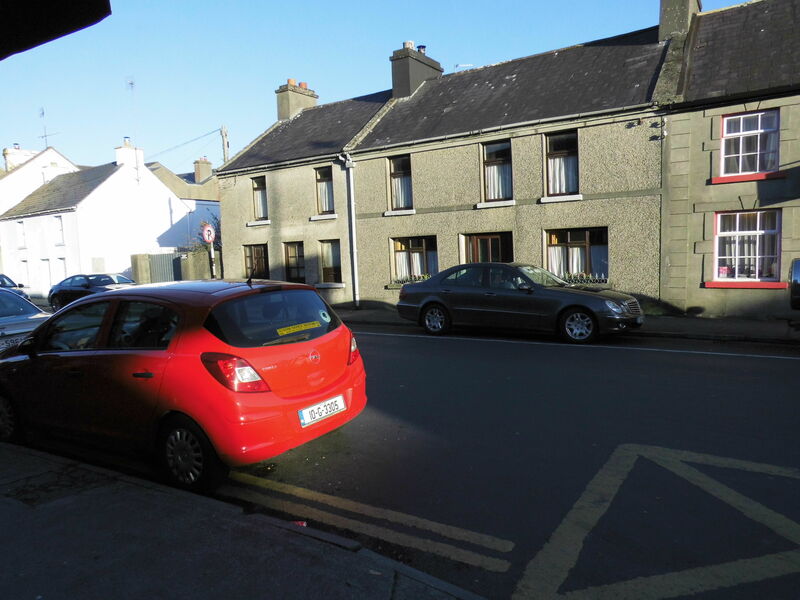 An end-of-terrace house along Main Street served as the Post Office and telephone exchange for Oranmore up to the end of the 20th century. The post box aperture is still in evidenced on this building. This page was added on 03/08/2017. I’m interested in your knowledge of Vesey Lodge as my father William Gabriel Browne was born there in October 1920. His mother was a Treacy and a daughter of Mary Curran a relation of your own side of the family. I was seeking a picture of Vesey Lodge and came across your interesting article. Oranmore Post Office has had quite a few sites around the village over the years. The photograph shows three houses on The Dublin Road. The post office was in the centre one which was owned by Bartley Fahy. The end of terrace house was originally a single storey thatched house and was also owned by Mr.Fahy. I was very familiar with the center house which was occupied during the late 1940’s and 50’s by the Hannify family. It still then had all the “Pigeon holes” for the sorted mail.on one of the walls. The house on the right was owned by the Fahy family and was at one time the R.I.C. barracks. Vesey Lodge was taken over for a time during the 1920’s as an R.I.C barracks while the main barracks was being refurbished. The Post Office was located down a lane off the west side of main street in the early part of the 20th. century. My Grandfather Jim Lyons was “The Ponyman” for the Royal Mail. It was his duty to have two fresh horses ready every day for “The Mail Car” which arrived from Gort for the “Mail Train” at Oranmore station. The horses were stabled beside the post office at the end of the lane. had a letterbox on the mail carriage where one could post late mail. The office was moved to a site owned by my Grandmother Mary Lyons on the east side of main street and after a short period she sold the building to Charlie McDermott for £30. The Mc.Dermott family ran the post office for many years from this site.